It’s been a long time coming. 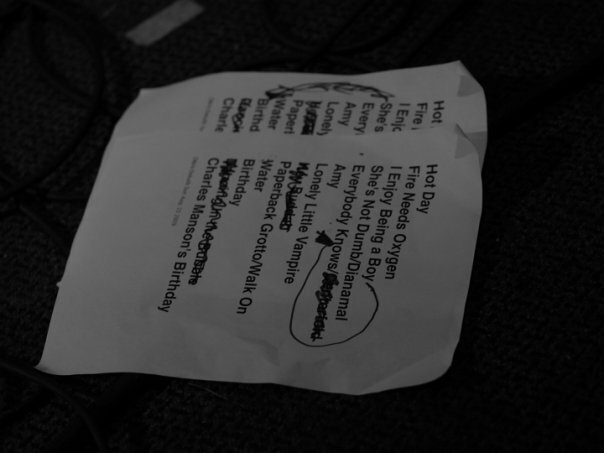 But here are the set lists for the shows on which Ryan Jerving (the Viper) sat in on guitar with DeKalb, Illinois legend Otis Ball and the Chains. This was part of a two-day “DeKalb Rocks” event in Chicago and DeKalb that brought back together a number of great bands from the punk and post-punk 1980s scene in DeKalb, including Blatant Dissent, The Subverts, happy hunting, and others. I was a Chain! Otis and I were friends from my days in the late 1980s Madison band Kissyfish. Our bands played together surprisingly often, given the geographic distance, and it was always a good time. Otis is a great rock ‘n’ roll songwriter and it was an honor to share a stage with him again. Several photo albums on Facebook are devoted to the two-day event, if you can access them.